Apple have some pages devoted to iBooks Author, and you can read about getting content from ePUB and from IDML. There is a suggestion that sections in InDesign can become sections in the iBooks Author environment, but I found this to be unreliable. Maybe there are different itterations of the IDML format, which you can read about here (PDF). The ePUB arrives but no InDesign named styles. One IDML per section (in my example this is the scene of the play). Adding Chapter. The IDML files are going into the section. We are adding the Chapter because we want a full page to announce it. The eBook created with iBooks Author is a proprietary format that does have some resemblance to the ePUB3 format, although it is (virtually) impossible to edit the internal components. First we must consider the approach that iBooks Author (IBA) takes to developing a design layout, because it is really very different from page layout tools like InDesign. Whereas InDesign expects a page size and proportion to be defined, with content then added and arranged, IBA uses a template system to define the layouts for typical components of the structure; the cover, the start page, the chapter start page, the section pages and so on. The template system also expects the designer to take control of the alternative portrait view of the book, because, the eBook created with IBA is a hybrid format; fixed-layout for the landscape view and reflowable for the portrait view. iBooks Author comes with many templates and, for many teachers and self publishers the options available are enough, but for us – we have to take control of the design by creating our own template. There is no way to start a template from scratch. You have to start with one of the provided templates. It really makes sense to spend some time exploring the templates so that you can get a feeling for the way the structure of the iBooks Author environment works. As you will see from the list of templates there is one blank template, that you can use to build from but have a look through the others to get a sense of what is possible. Make a decision first about the orientation that you will give your eBook. You can choose ‘Landscape with Portrait’ or ‘Portrait only’. It is possible to select the ‘Landscape with Portrait’ option and then later turn off the portrait view; effectively creating a Landscape view only. The 'Portrait Only’ option is not the same as the portrait view in the ‘Landscape and Portrait’ template! When you choose the portrait only’ template, you are getting a ‘page by page’ arrangement, just like the landscape layout but in a portrait orientation. If you are confused by this, you should experiment with a few of the template options, to get a better feel for the choices. Please note that since this post no longer refers to a Portrait View, but rather a scrolling view which can be invoked in either landscape or portrait view on the iPad with iBooks. Just like in any other design for publication toolset, there are 2 variables that you need to control; the layout and the typography. The typography is controlled with a style palette and in iBooks Author this is known as the ‘style drawer’. Paragraph styles, character styles and list styles can be modified through the Text panel and the Fonts Panel. You can also create new styles by building those on the page and then, on selection, add as a new style. Some of your decisions at this stage also depend on how you planning to get content into IBA. We are using InDesign, so we have already made some typographic choices. We will be able to use the paragraph and character styles. More on this later, first we need to deal with structure. IBA provides you with a basic structure using the terms ‘Chapters’ and the further ‘child’ elements as the ‘Sections’. You don’t actually need to use these terms nor do you need to use Sections within Chapters. Indeed your book can be one ‘Chapter’ with many sections! You can even rename the Chapters and Sections so that Sections become Chapters and Chapters become sections. Some books may have sections as the top level with chapters inside those sections. Anything is possible, although in terms of IBA’s automatic construction of the table of contents, you can only have 2 levels, so by default you have Pages within Sections within Chapters although you can dispense with Sections altogether. Only in the most recent versions of iBooks Author have the following features been added. These features give us the possibility to get our content (styled and structured) within InDesign into iBooks Author. We must thank Apple for these additions, because prior to version 2.1 we could only copy and paste our content from InDesign and paste into iBooks Author (still an option, of course). Neither of the 2 options described below are without their difficulties, and your decision as to which is better for you, will depend on the amount of work you would rather do in iBooks Author or back in InDesign. In our sample project we have already created an ePUB(reflowable), and Apple have kindly added the feature for us to ‘Create New from an ePUB file …’. If you have a correctly structured reflowable ePUB3 with a working logical table of contents, then this will produce the most instant moderately successful iBooks Author file. You will find this option on the File menu of iBooks Author. But before going through this process, let me just point out some facts. The Table of Contents is where IBA gets its information for the structure – you know – Chapters, Sections, Pages etc. So, you really must be sure that the logical TOC, is going to provide that information. Take a look at your beautifully formed reflowable ePUB3 and analyse the TOC, before building the IBA file from it. 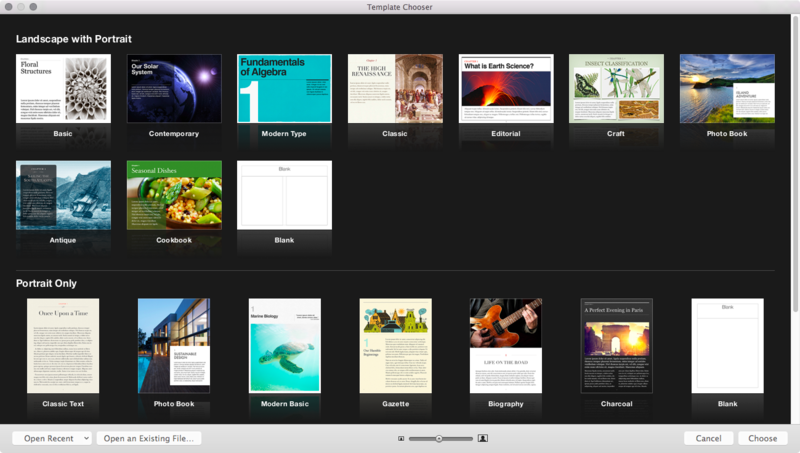 iBooks Author only transfers 2 levels of the TOC to build the structure. 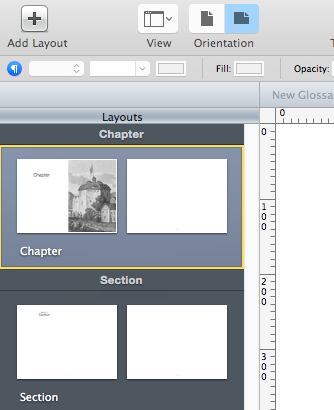 Creating a new iBooks Author file from an ePUB (reflowable) will bring into the template the correct appearance of the paragraph and character styles, but they will not have the names you gave them in InDesign. They will only have generic names such as heading 1, heading 2, etc. Furthermore, the many other styles that you have in your InDesign file (in my example: verse line, prose, location etc), will all become Free Form styles. Now, this may not be a problem, but it will be very difficult to modify these styles in a long document. Let's look at thw alternative method. IDML is the published interchange format from Adobe that represents InDesign markup language. It is essentially an XML package that contains all the information to rebuild the assets, structure and layout for the whole document. Using this technique is far from straightforward but if we are careful we can get good results that will also transfer all of the paragraph and character styles with correct labels. This is significant, because it means we can still modify the styles globally throughout the IBA document. What is in the IDML File? Apple IBA will take everything that is in the IDML file and put it on its own pages. We expect the IDML file to include everything, but there is one thing that we do not want in the IBA file; the master page items. This means the header and the footers (page number especially). Since the book you are reading proposes a workflow that retains the print elements and yet successfully produce eBooks, we will simply hide the master page items by putting them on their own layer and hiding that layer. 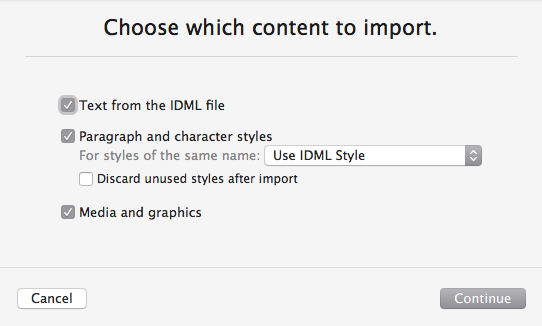 IDML files can only be created from the individual InDesign files, not from the book panel. From within each document you will need to use the File > Export and choose IDML. 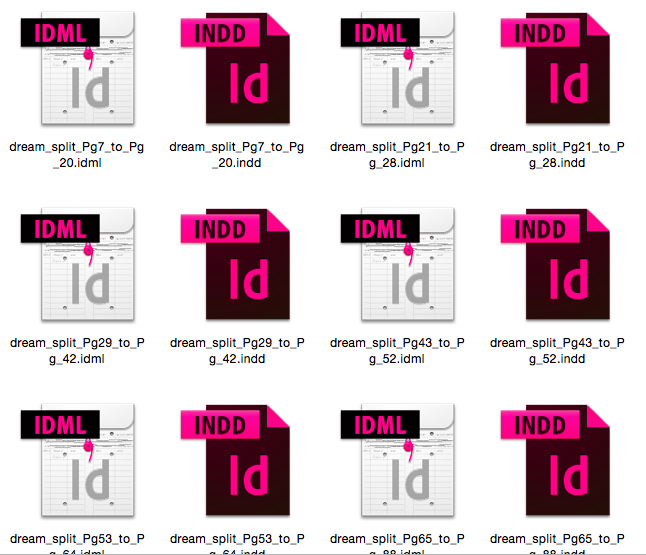 In order for this work successfully, you really need to break the InDesign documents into their individual chapters and then export one IDML for each of those. The reason for this is that when you move back to iBooks Author, you are only able to insert one chapter at a time to get the correct structure. If you export one IDML file for the whole book (or section within the book), it will become one chapter in IBA. If your workflow habits involve using the book panel and keeping chapters in individual files, then you are one step ahead of all the other eBook producers! 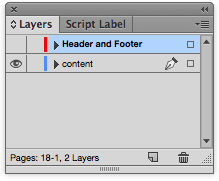 It is possible to split the InDesign document into smaller files, and there are tools to help with this. Badia Software (http://exportools.badiasoftware.com) have a program that is perfect for this, I recommend using this if your budget allows. Since our goal is to produce IDML files for each section (in my case a Scene of the play), Badia Export Tools will do this directly. On the other hand there are scripts that can work, but you will need to pay particular attention to the way the pages are numbered, how they are threaded and where to split. If you have this switched on in your preferences, then be sure to disable this before you try to split the long file, otherwise you may end up with lots of overset text in each of the separated files. If you have not invested in Badia Export Tools, then you can use scripts to get your document split into the appropriate sections. In my Shakespeare play example, I intend to extract every Scene as a separated file, and then export this to the IDML file. (With Badia Tools, you can achieve this in one step). First of all we need to split the story into separate stories. The script we need is called StorySplitter 3.0 and you can get it here. With this script you will need to first go to each page where you want to begin a new file, select the text frame, invoke the script and then choose ‘Split before’. Each of these in turn through the play, so you will have separated stories. This might be tricky! 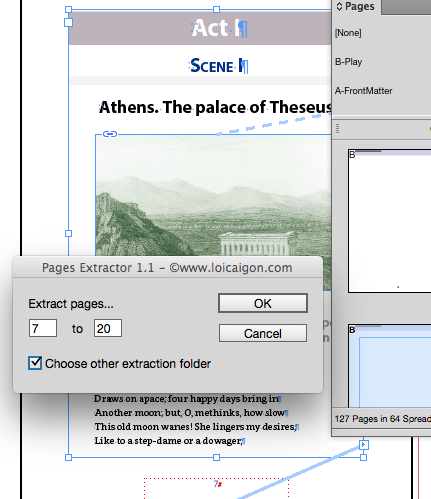 The page extractor script can get confused about page numbers, if you have different sections in the InDesign file, so I advise you (for simplicity), to temporarily make the whole document into one section with page numbers starting at 1. This way you will know what page numbers (start and end) to provide for the extract routine. We need to concentrate hard on this task. Look at the beginning of each scene and see where to extract the pages. Once we have all of the individual files, then we need to open each one in turn and export as an IDML file. 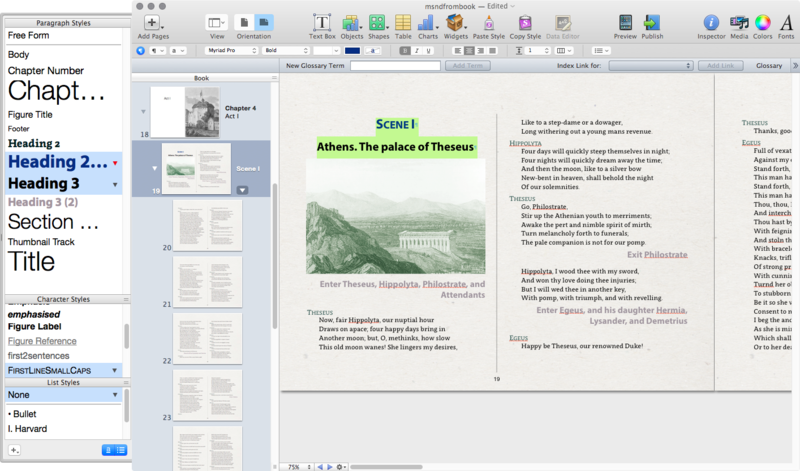 We are now ready to insert into the iBooks Author Template. With our template open we now need to choose the first of our IDML files and after opting to include text, media and graphics, paragraph and character styles, we select the Section. Note: NOT the chapter, because we are entering the chapter in selectively for each Any of the play (abd front mater sections later. We are going to experience some very strange anomalies with this process, and I am afraid you just need to accept that getting the content into iBooks Author this way does throw up some artefacts such as repeated pages, ghost text frames, that were not in the InDesign file and images that seem smaller than they were in InDesign. The good thing is that you should not be missing anything, you just need to delete some pages and move top level heading to the Chapter start page. 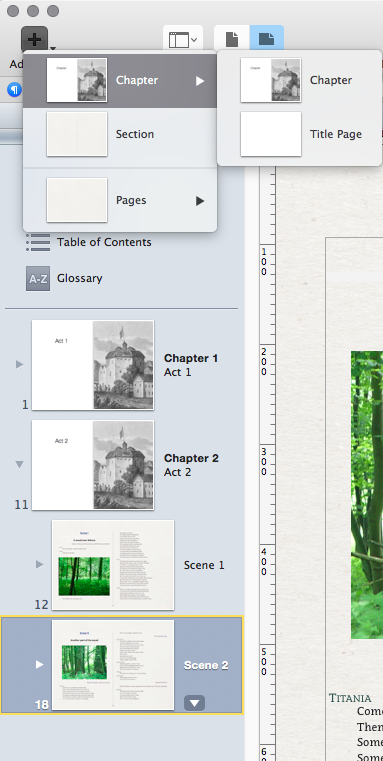 To add a chapter (in our example so far this is an Act of the play), we just need the ‘Insert pages’ menu. 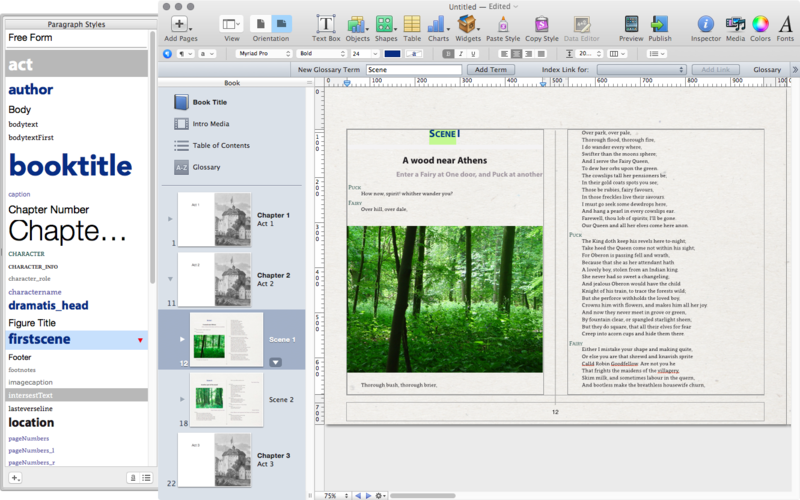 We have looked at 2 methods to get content from InDesign to iBooks Author. This seems to work well with a cleverly formed table of contents. As long as you only expect 2 levels – Chapter > Section, then this could be for you. The most significant difficulty is that all styles below Heading 1 and Heading 2 (in other words paragraphs) are not available as a style that can be edited; they will simply be provided as ‘Free Form’ styles. The results are reasonably good and anomalies are easily edited, since all named styles will correctly translate from InDesign. You really can only use this technique if you have split a complete InDesign document into constituent parts (such as chapters and sections), because you are only able to add the IDML file into a chapter not a complete book.